As part of its project for the Communication Regulatory Authorities in Southern Africa (CRASA), decision analysis partners recently organized a stakeholder forum on the role of postal financial services in financial inclusion for the Southern African Development Community (SADC.) The forum was held in Lilongwe, Malawi and attended by over 30 participants from regional posts and central banks, and representatives from the UPU and other non-governmental organizations. The forum included eight interactive sessions led by experts Brian Goulden of Pygma Consulting and Hans Boon of PostFinance International Development. The following article is reposted from CapitalFM from Lilongwe, Malawi. 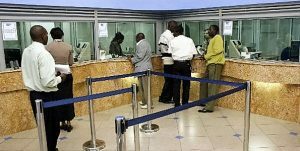 Africa’s postal services regulator, UPU, has stressed on the need for member states to employ financial inclusion ensure that the service benefits the unbanked population. The call is coming at the backdrop that almost 75% of the adult population in the sub-Saharan Africa is excluded from formal financial systems. The regional project coordinator of the Universal Postal Union was speaking in Malawi’s capital, Lilongwe, at a forum on postal financial services and financial inclusion in the regional block, SADC. Gladys Mutyavaviri told Capital FM that financial in inclusion is not only beneficial to individuals and their families but is also a powerful driver of economic growth and poverty alleviation. “A wide range of financial services can be provided through the extensive postal network to millions of our people who are struggling to lift themselves out of poverty and exclusivity,” she said. She however said significant investment is required in modernising the postal infrastructure through technological development geared to ensure the automation of operational processes and connectivity of post offices. According to Mutyavaviri posts in the Southern Africa Development Community (SADC) are lagging behind in terms of automation of postal processes. Mutyavaviri believes the role remains in the hands of government and the private sector to create an enabling environment that promotes financial inclusion and the private sector in harnessing technology and adapting to consumer needs. Malawi’s Post Master General said the Government of Malawi (GoM), through its 180 post offices spread across the country, is working towards improving postal services by bringing on the market new services that benefit the masses. Andrew Kumbatila said the postal services are able to collect MK1 billion ($1.4m) per month from outside sent through their services which he said is a positive step in reaching out the unbanked population. The World Bank estimates that more than $157 billion could be injected annually into the formal financial sector if the unbanked were brought on board.